2013 Toyota Matrix: Pack, Escape, Live. Toyota is well-known for its hyper fuel efficient compacts, but the Japanese automaker never really had one that was particularly fun to drive – until now. Enter the Matrix (no, not the video game based off the popular Keanu Reeves movies); a sporty compact that delivers the fuel economy and reliability Toyota has built its company on, coupled with an exhilarating driving experience. The 2013 Toyota Matrix offers two different engine options. The base, 1.8-liter four-cylinder produces 132 horsepower and 128 lb.-ft. of torque 26 mpg city and 32 mpg highway. Upgrade to the 2.4-liter four-cylinder for the added zip provided by 158 horsepower and 162 lb.-ft. of torque, while still returning 28 mpg highway. Toyota not only did Toyota design the Matrix to be fun to drive, but also for the fun-loving to drive. The impressive does the near 20 cubic feet of cargo capacity provide enough room to fit just about anything but it’s also made from tough, water-resistant material. 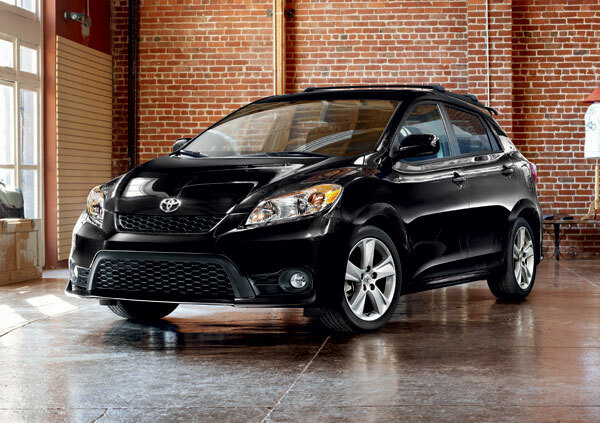 Will the 2013 Toyota Matrix have you taking a second look at Toyota compacts?